Boxing promoter Damon Feldman, who was set to announced the Zimmerman vs DMX date this Wednesday, announced Sunday that the match was cancelled via Twitter due to negative backlash. It was my decision to cancel the george zimmerman fight it was worth a lot of money to me but people’s feelings meant more to me I walked away from av [sic] million dollar payday with this fight but to be honest I’d rather be happy and make people happy thank you. 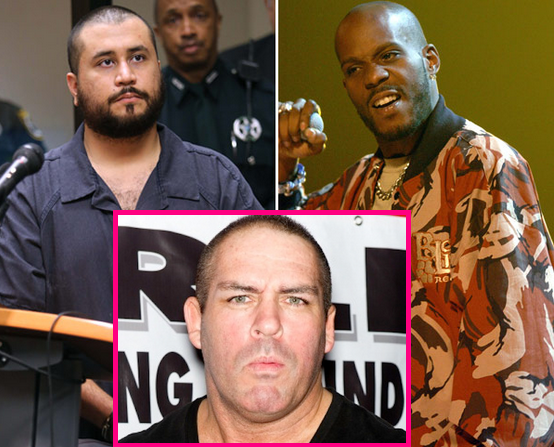 As previously reported, DMX had promised to massacre 30-year-old Zimmerman every chance he gets in the ring, “I am going to beat the living f**k out him … I am breaking every rule in boxing to make sure I f**k him right up.” He then said he’d literally piss on George’s face.” Too bad he will never get the opportunity, or maybe not in this life time.